The only reason I visit Barnes & Noble aside from reading young adult novels is because they carried the one comic book that Publix stopped stocking their magazine shelves with over a decade ago: Sonic the Hedgehog by Archie Comics. “Uh, no,” I said. I was never bored when it came to reading video game magazines, especially when Sonic graces the cover of Nintendo Power or Electronic Gaming Monthly–or, at the very least, when a journalist from either company writes an honorable mention of the Blue Blur for a page or two. Suddenly, Nicholas swung up issue #150 of Sonic the Hedgehog in my face. Squealing like a groupie at a Backstreet Boys concert, I snatched the comic book from his hands and devoured it. I skipped some issues here and there, but once the comic hit the 190s, I started to read it full-time at Barnes & Noble. The only time I ever read Archie Sonic outside of B&N, I read issue #200 at a CVS in Toronto. 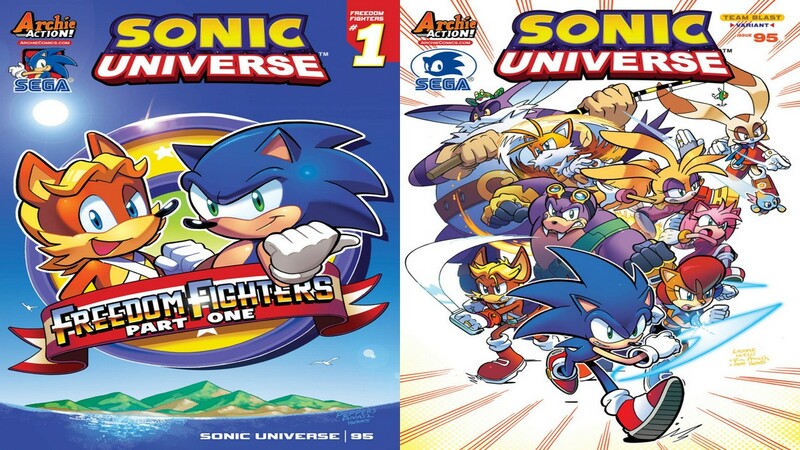 As early as December or November 2016, I noticed that B&N wasn’t stocking up on new issues of Sonic the Hedgehog nor Sonic Universe save for one: Sonic Universe Issue #94. “Where in the name of Chaos is that new issue of Sonic the Hedgehog? I can’t read Sonic Universe without hitting the main canon first,” I told myself every time I hit the magazine stands upon entering B&N. Before I got up the nerve to complain to customer service, someone informed me that Archie had placed their Sonic comic line on an indefinite hiatus. I can understand certain musicians taking indefinite sabbaticals–I handled Utada Hikaru’s lustrum hiatus just fine–but why a comic book like Sonic the Hedgehog, Guinness World Record holder for Longest Running Comic Book Series Based on a Video Game, would stop printing when it’s 10 issues close to its 300th, with the spin-off six issues shy of its 100th, is unfathomable. Rumor has it that the whole debacle started on Dec. 28, 2016, when SEGA of Japan (or SEGA Corp.) sent a cease-and-desist order to Archie Comics to stop printing current and future issues of the comics until they renew their contract with SEGA of America. By the time Archie received the order, they already printed and shipped StH #290 and SU #94 to retail comic shops and bookstores, so the joke was on them. However, they complied with the cease-and-desist order by delaying StH #291 and SU #95 while they fixed the kinks. Two and a half weeks later, Archie picked the right day to piss off their Sonic fans–Friday, Jan. 13, 2017–and remove their subscriptions from their web store and the iOS/Android app, triggering a tsunami of phone calls and emails asking why they decided to suddenly cancel Sonic. The staff was unable to confirm or deny if Archie had actually cancelled Sonic, so they had to wait and see. On Jan. 23, Archie listed StH #291 and SU #95 on their April 2017 solicitations list, giving every fan a glimmer of hope that the Blue Blur’s comics will run a million miles more. However, three months later, Archie cancelled the issues again, and other issues were absent from their recent July solicitations. Here are some other issues of StH and SU that Archie cancelled along with the aforementioned issues. The day after Free Comic Book Day, a member of Archie Sonic Online going by doctorben wrote a post claiming that his informant, whose name he kept anonymous, told him that the Sonic comic is “definitely cancelled, and the reason why we haven’t heard anything yet is because Archie and Sega were trying to reach a deal together,” the deal being whether or not Archie should retain the license to continue writing and publishing Sonic as they see fit. Doctorben also explained how Jon Goldwater, CEO of Archie Comics, said that company wants to eventually “get away from Sonic” because it’s not exactly “Archie material” despite how much money they made for every issue and that Archie isn’t inclined to fight back for the license because they had “one foot out the door for a long time for a number of reasons,” including low sales of Sonic comics in recent months. To top it off, the price for Archie to retain the license was too high–all the more reason for them not to renew the contract. This statement may be discouraging, but it’s plausible. 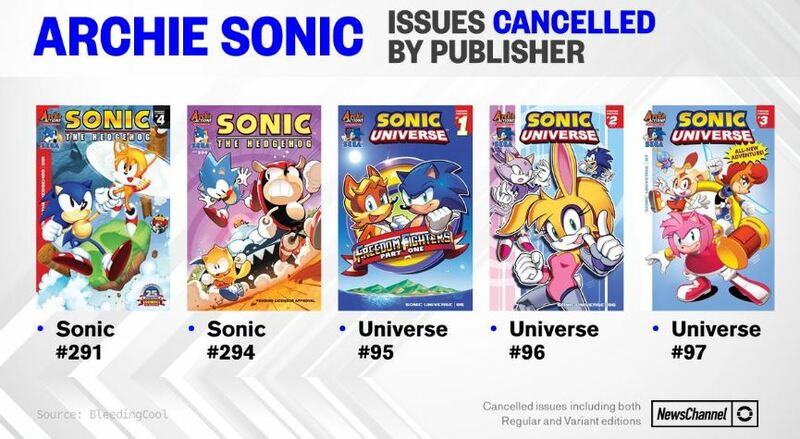 On May 9, Archie Comics released an official statement to Sonic News Channel empathizing with subscribers about their concerns for Sonic’s future in the comics. 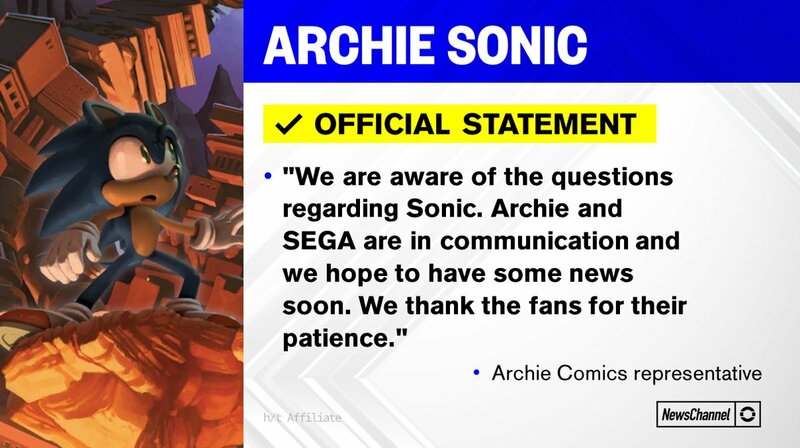 Archie constantly saying that they’re “in talks with SEGA, and will let everyone know if we have an update to share” about Sonic’s status is really testing our patience. If anything, their gag order from SEGA is increasing our anxiety over its probable cancellation. And then there’s the possibility that another comics publisher will acquire the license to print Sonic if Archie decides not to retain it. That scares me because no one can imitate the styles of Tracy Yardley, Ian Flynn, Matt Herms, and Jennifer Hernandez-the staff I commend for making the comics greater than they’ve ever been. 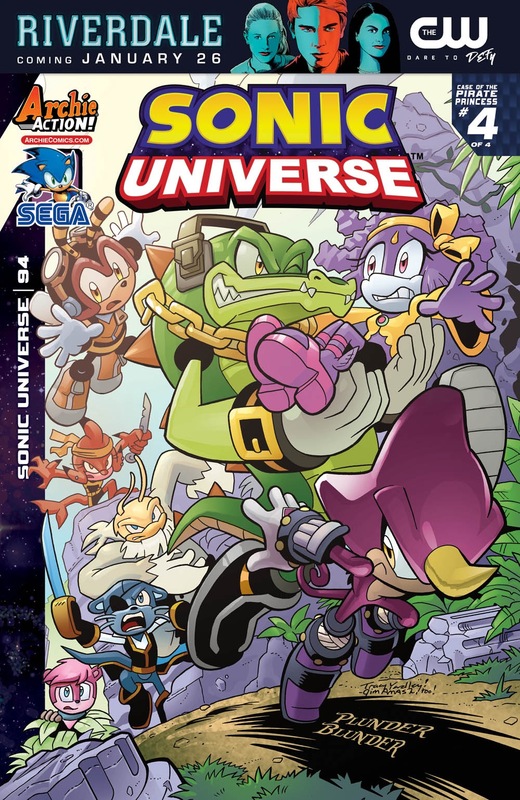 I hope Archie’s licensing dispute with SEGA gets resolved as quickly as the speed of sound because I can’t imagine myself walking into B&N with the Sonic comics missing from the magazine stands–or pick up an issue of StH or SU and find the logo of another publisher slapped on it.